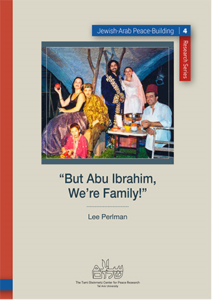 But Abu Ibrahim, We’re Family! is a series of case studies, describing collaborations between Jewish and Palestinian professional theater artists in Israel and the theater they create to reflect their realities. It depicts the ways in which the artists navigate shifting power dynamics and relations between them, while working together to overcome external social and political forces, which run counter to their work. This book is part of the “Jewish-Arab Peace Building” research series of The Tami Steinmetz Center for Peace Research, Tel Aviv University. A vital resource for students and scholars of Middle East/Israel, theatre/performance and peace/conflict studies, this book will serve as an invaluable tool for artists, activists and policy makers. For further enquiries, please contact recastinc@gmail.com. 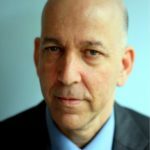 Lee Perlman, PhD., is a research fellow at the Tami Steinmetz Center for Peace Research, Tel Aviv University. He is a contributing author to the anthology Acting Together: Performance and the Creative Transformation of Conflict (New Village Press, 2011). Perlman has co-authored a number of research works and analyses of peacemaking and peacebuilding activities, informed by his practitioner experience as founder and director of the Israeli-Palestinian Encounters Unit of the Melitz Centers in Jerusalem. He wrote “Arab-Jewish Youth Encounters: Impact over Time”, (Arab Youth in Israel: Caught between Prospects and Risk, Tel Aviv University, the Konrad Adenauer Program for Jewish-Arab Cooperation, 2008) and has published articles and opinion pieces in the Ha’aretz newspaper, The Times of Israel, The Jerusalem Report and Sh’ma: A Journal of Jewish Ideas. Perlman serves as president, board of directors of RECAST, Inc. and as an executive committee member of the IMPACT (Imagining Together: Platform for Arts, Culture and Conflict Transformation), project designing an infrastructure to support practice, policymaking, research and teaching in the field. He is chair, board of directors, of the Daniel Centers for Progressive Judaism, Tel Aviv-Jaffa and has served as chair, artistic committee of ISRA-DRAMA, the International Spotlight on Israeli Drama Festival. In 2013, Ha’aretz named Perlman as one of “The 100 Most Influential People in Israeli Culture.” He has previously served as executive director of the America-Israel Cultural Foundation and as director of grants and programs of the Abraham Fund Initiatives, an organization promoting shared society and equality.